I had talked two days ago about making jewelry again and showed off some new marbled hexagon pieces. Well, I went another step and scanned a huge handful of those hexagons and digitized them to be used in all kinds of projects. I thinking I’m going to run with this idea and see exactly what I can make when I mix my jewelry with my quilting. The sky is the limit. Seriously, there is so much more I can do here! Other shapes, more casting techniques, different colors, etc. I am so excited by this project and will probably be sharing more about it soon! 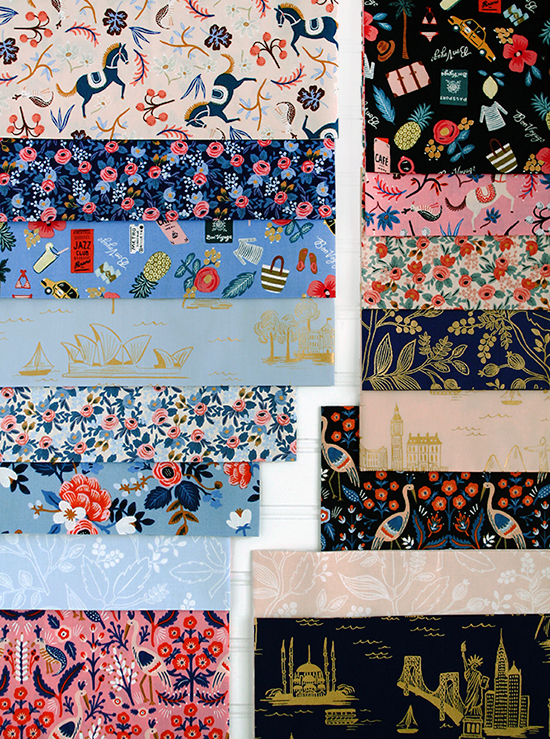 Fabric Stash Friday: Les Fleurs by Rifle Paper Co.
Last week I spent almost my entire week, and weekend wandering around the International Quilt Market! It’s an industry professional only trade show that is all about sewing. It’s where fabric, thread, batting, pattern, and other companies show off the newest and greatest products. I go to help find jobs since I am technically freelance, but while I’m there I also do a lot of shopping. The night before the trade show flood opens they have this event called Sample Spree where you can buy bundles of fabric that isn’t out yet, so you can make a sample piece to help promote the fabric when it does come out. This is mainly meant for shop owners, but people like me use it when designing new patterns where there is time in between photographing the pattern and the actual pattern coming out. This way your pattern can be released the same time as the new fabric and it will be super relevant and make people want to replicate it. Does that make sense? Well this event gets super crazy and there is a lot of running, pushing, shoving and more. It’s really hard to explain the craziness without seeing it in person. I went in with a list and only scored maybe 1/3rd of it. 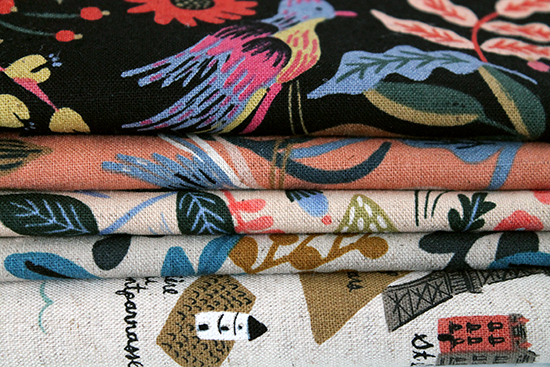 It’s the brand new line from Rifle Paper Co. named Les Fleurs and is part of a collaboration with Cotton + Steel fabrics. It’s a little busier than I would normally go for, but I have a pattern being released soon that would look great in these fabrics. The bundle I ended up with had numerous substrates in it (different types of fabrics) so I photographed them all separately for the most part, to show them off better. The first substrate is 100% quilting cotton. I’d say half the bundle was quilting cotton actually. As you can see from the photos (which doesn’t do this stuff justice) the colors are super vibrant and rich. It’s like something out of a Wes Anderson movie. Everything above this sentence is quilting cotton. Next up is their Lawn fabric, which is slightly thinner than quilting cotton and can be used nicely for quilts and clothing. The blue flower print in the above photo is actually Rayon, I got confused while photographing them! These are the other Rayon prints. The drape of this fabric is beautiful and so flowy. If I was more girly, I’d probably make some dresses out of it. The rest of the bundle of their thick Linen/Cotton Canvas. I’m not 100% how I’m going to use these pieces, but I can say they really are gorgeous! Even though the designs are printed on an unbleached fabric, the colors are still really pretty. There is also a huge panel that is just illustrations of different city maps. I LOVE it. 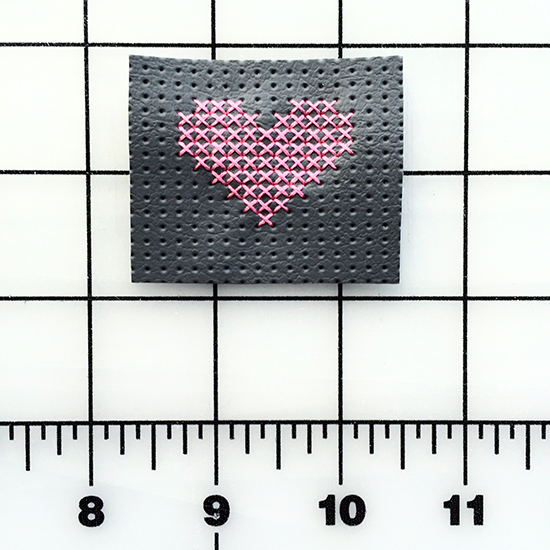 This fabric isn’t quite out yet, but I bet you’ll start seeing sample pieces popping up everywhere soon enough. I myself have several projects planned out. All the substrates of Les Fleurs are scheduled to be in shops July 2016! That’s only a month or so away, and a lot of shops already have pre-order listings set up!! I know I said two weeks ago that I would only be doing one project for Andover Fabrics this Quilt Market, and I really meant it at the time! But then I saw Libs Elliott’s debut line with them called True Love. It was just too many perfect black and white fabrics, and I just had to work with it. These marbled designs are my absolute favorite and I plan on getting a few yards of each when they officially come out! I’m thinking dresses, kids skirts, quilt backing, quilt binding and so much more! It’s just too perfect! The line officially comes out May 2016, so keep an out at your favorite shops local or online! It’s that time of year again… Quilt Market sewing! I’m taking it slow this spring and I am only working on one project, and it just happens to be for the company I’ve been working with the longest, Andover Fabrics. It will be a super tall and skinny banner featuring all of the Lizzy House line shown above and using an upcoming pattern of mine. I won’t be showing TOO much of the progress over the next few weeks because I don’t want to give that much of the pattern away. Look at all those pretty grays and low volumes!! I can not wait to cut in to these soon! !